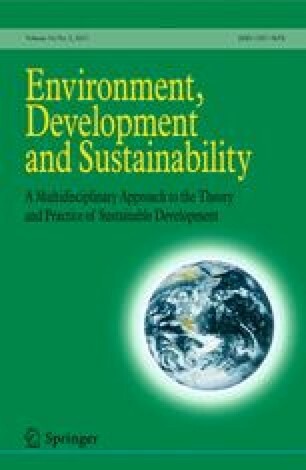 This paper explores issues that are central to ecological economics. In spite of a substantial body of research and other literature that has appeared in recent decades on transition, and countless other efforts, no progress has been made to halt the increase in global warming, global emissions, rampant population growth, or several hundred other critical planet sustainability indicators including global species extinction. The opposite is true. Consumption has escalated and it is poised to double and, with it, planetary decay has followed closely. The aim of this work is to introduce a pragmatic solution and the economics mechanisms solidly rooted in science, in the laws of conservation of mass and energy, and in environmental and ecological sustainability that are necessary to overcome the tremendous forces of social, political, and economic resistance to major change. To advance towards a sustainable civilization, adopting a holistic approach with those underlying principles in all aspects of human activity, among others economy, finance, industry, commerce, engineering, politics, architecture, and education, is both lacking and fundamentally required. A short review of the state-of-the-art of the science on the critical status of the planet’s resources and its life-supporting systems is presented, as well as a brief catalog of the seminal works of the science that gave rise to its metrics and established early on the groundwork for the understanding of the degree of sustainability of the planet. We present the argument why past and current schemes of human economics, organization, culture, and politics cannot achieve anything else, but complete and utter failure under their own underlying precepts. A rigorous and disciplined process on how to overcome and avoid the precipitous decline and collapse of the environmental and planetary biosystems on which all life depends, including human life, and a new view towards the world and the universe we all have no choice but to live in, are also offered. Readers should send their comments on this paper to BhaskarNath@aol.com within 3 months of publication of this issue. The author wishes to thank and express his appreciation to Prof. Dr. David Pimentel, College of Agriculture and Life Sciences at Cornell University, to Prof. Dr. Evaggelos Vallianatos, formerly with the US Office of Technology Assessment, the U.S. Environmental Protection Agency (EPA), and the University of Maryland, and the two anonymous reviewers for revising the manuscript, all for their many helpful insights, corrections, criticism, encouraging comments, and suggestions. Corporations are People. (2011). US narrow 5-4 decision affirming that corporations are and thus having the same rights as people. Online resource. http://www.citizensforethics.org/node/43936. Accessed August 11, 2011. Grameen Bank. (2011). Online resource. http://www.grameen-info.org/. Accessed August 11, 2011. IPCC. (2007). Intergovernmental panel on climate change. Assessment reports I–IV. Resource document. http://www.ipcc.ch/publicationsanddata/publicationsanddatareports.htm. Accessed August 11, 2011. Kendall, H. (1992). World scientists’ warning to humanity (1992). Resource document. Union of concerned scientists. http://www.ucsusa.org/about/1992-world-scientists.html. Accessed August 11, 2011. Mondragon Cooperatives. (2011). Online resource. http://www.mondragon-corporation.com/ENG.aspx. Accessed August 11, 2011. Nebraska. (2011). Nebraska farm legislation: Anti-corporate farming laws in the heartland. Resource document. http://www.celdf.org/article.php?id=758. Accessed August 11, 2011. Patents on Life. (2011). US Supreme Court 5-4 decision to grant. Online resource. http://www.councilforresponsiblegenetics.org/ViewPage.aspx?pageId=169. Accessed August 11, 2011. Transition cities. (2011). Online resource. http://www.transitionnetwork.org/. Accessed August 11, 2011. Venetoulis, J., & Talberth, J. (2005). Human Footprint of Nations V2.0. Resource document. http://www.ecologicalfootprint.org/. Accessed August 11, 2011.